Learn more about Ecuador and other countries in our daily postcard e-letter. Simply enter your email address below and we'll send you a FREE REPORT - Ecuador: Live Like Royalty on Your Social Security. Sell your winter clothes…and get ready for the adventure of a lifetime in the Land of Eternal Spring. Every cliché you’ve heard about living large on little…on even a retiree’s budget…is true in Ecuador. Ecuador lies in the northwestern corner of South America, bordered by Colombia to the north, Peru to the south and east, and the Pacific Ocean to the west. At just 175,807 square miles (about the size of Nevada) Ecuador’s small size belies its incredible diversity. The Andes Mountains form Ecuador’s backbone, and from the top of Mount Chimborazo at 20,600 feet (6,310 meters), the mountains descend on the east to dense tropical rainforests and on the west to balmy Pacific beaches. In between, you’ll find more climates, cultures, and natural wonders than almost any place on earth. Envision your dream location—an unspoiled beach, a bustling city, university town, quiet mountain village—Ecuador has them all. Choose the place that’s right for you and start enjoying a better quality of life now. 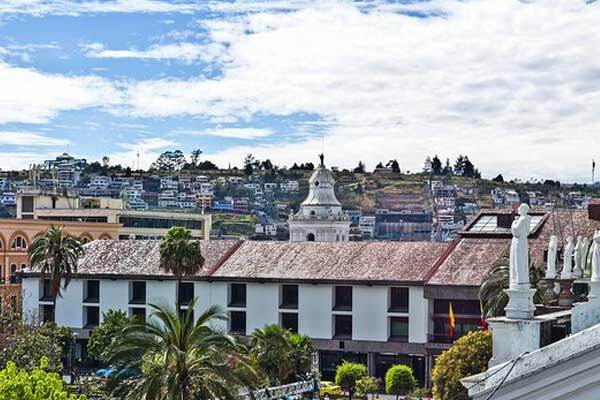 Fresh fruits and vegetables—clean air and water—year-round temperate climate—no wonder so many expats living in Ecuador say they feel better than they have in years. Healthcare in metropolitan areas is top-notch with costs a fraction of what you would pay in North America. And now all residents are eligible to join the country’s Social Security healthcare system with premiums of less than $80 a month for a couple. Ecuador offers special benefits to residents aged 65 and older. Public transportation is half price, airfare (even when flying internationally) is significantly discounted, and seniors receive a monthly refund of sales tax paid. Plus you get to go to the front of the line at the bank and grocery store! Whether you want to live, invest, vacation, retire or simply relax in Ecuador, you’ll find the perfect combination of climate, culture, and affordability to make your dreams come true. Book your flights and come take a look at all that Ecuador has to offer. The retirement life you’ve dreamed of is here waiting for you. Anyone considering a move overseas needs to take a good, hard look at the advantages and disadvantages of life in their target country. It is not always an easy process, especially when it comes to the incredibly diverse destination of Ecuador. It is also highly personal, as often your biggest “pro” is someone else’s “con”—and vice-versa. Here are some examples of pluses that may be minuses, and downsides that may be upsides. 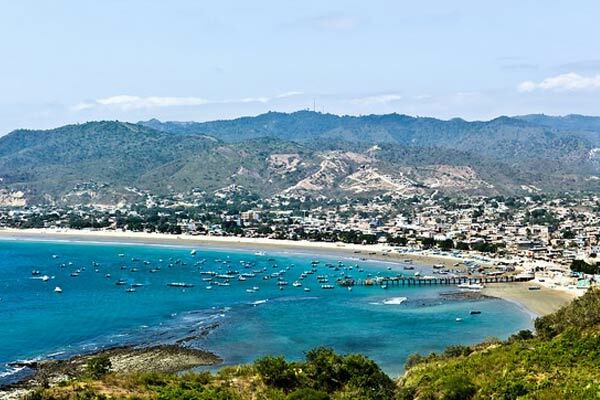 It is true that Ecuador has a variety of climates and lifestyles available to the potential expat. There are potential homes on the Pacific Ocean ranging from small villages of a hundred families up to cities of a half-million; and from lush, tropical forest to drier desert regions. In the Sierras, you also can find a plethora of beautiful places, and pick the altitude to match your preferred climate. But having so many options can be a double-edged sword. How do you choose just one? This can be especially hard for couples, when you run into the “I like the mountains but my spouse likes the beach”, or “he’s a city-person, I like the country” kind of disagreements. Fortunately, at about the size of Colorado, Ecuador is small enough that no decision has to be final. 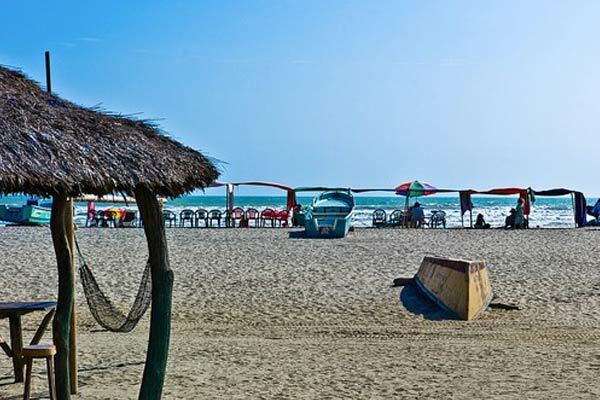 If you are renting, it is easy to try several places for a few months or even years at a time, until you find the place that is “just right.” Even if you purchase a home, the cost of ownership is low enough to justify spending a few months of the year exploring life in other parts of Ecuador. This is something that expats hear from friends and family all the time—“I enjoy the change of seasons, I think I would miss that.” I must admit, there is some truth to that. There is a kind of a changeless quality associated with living this close to the equator. After all, our days and nights are always about 12-hours each, regardless of the time of the year. Our temperatures over the course of the year may vary as much as 10 F to 15 F, but the change is so gradual between “summer” and “winter”, that it is hard to notice. Even a difference like rainy season versus. dry season doesn’t mean a lot in parts of the Pacific coast that rarely get more than 5 inches of rain all year. But do expats really miss the seasons? Do they miss raking and bagging leaves, or yearn for the days when they had to put on boots, gloves, and a coat to go shovel snow off the driveway? Do they pine for freezing rain and icy roads? I don’t think so. I think most people believe they would miss looking at the changing fall colors or admiring the beauty of a fresh snowfall from the comfort of a lounge chair by the fire. If that’s the case, then the good news is that there is plenty of scenic beauty in Ecuador to satisfy any nature-watcher. Verdant valleys, stunning waterfalls, deep blue-green ocean—and even some snow-capped mountains—are waiting for you. This is for many the number one reason for moving to Ecuador—the lower cost of living. It can be a tremendous advantage, in particular if you are on a fixed income. Rental prices are low, and often include furnishings. If you own, your property taxes will be a few hundred dollars (or less) a year. 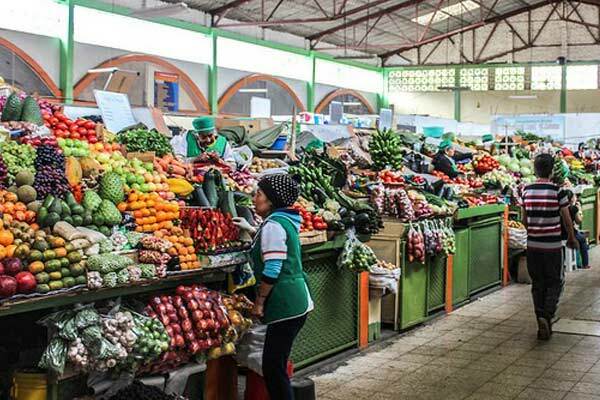 Local mercados offer fresh fruits and vegetables year-round, at prices so low you will not be able to carry what $15 will buy. In many areas, you can live without heating or air conditioning, and even a car can be an optional expense. However, it is important to remember that in order to get the most out of that low cost of living, you may need to make some changes to the way that you live now. Take food, for example: produce and many food items are not only much cheaper at local mercados, they are probably also of much better quality than what you are used to. But if you want to continue eating processed foods purchased at the modern supermarkets—particularly if you insist on American brand name products —you will end up spending more on your food budget. When it comes to transportation, buses are 30 cents or less, and it is rare to have a cab cost more than between $2 and $5, so that is another big money-saver. If you choose instead to own your own vehicle, you will be pleased to find that gasoline sells for $1.48 a gallon, but you will be less pleased to find that most automobiles cost as much as 50% to100% more than in the U.S. due to import fees. Here again, even that downside has an upside. Cars are more expensive here, but they also retain their value better. It is not unusual to own a car for five years, and then sell it for almost the full purchase price. The biggest stumbling block for many expats is the language barrier. If you didn’t have Spanish classes in high school or college, the idea of learning a new language at age 60 or older can be a daunting thought. While there are many places in Ecuador with big and supportive expats communities, and bi-lingual folks that can be hired for around $10 an hour to help with chores like opening bank accounts, trying to live your day-to-day life can be frustrating at first. It is bad enough when you feel you cannot use the phone, or have difficulty communicating with a taxi driver or store clerk, but what about things like talking to a doctor, or a policeman? It is easy to feel isolated and limited when you cannot speak the local language. The reality though is that most people can in fact learn another language, at least enough to get by in a foreign country. You may never be fluent, but it is surprising how far you can get by learning to use just a dozen or so verbs, and building a small vocabulary of the things you see or do in your daily life. Sure, it may not be easy, but the rewards are worth the effort. If you come to Ecuador and speak bad Spanish, you will find the locals do not mind your bad pronunciation or faulty grammar. In fact, they will be pleased that you are making an effort to speak to them in their native tongue. It is surprising how many times an Ecuadorian will see it as a chance to practice their own English skills. Better yet, no matter how much you actually learn, there is plenty of research to show that just making the attempt to learn another language is good for your brain, and may even help prevent the onset of cognitive degenerative diseases. And besides, you’ll finally understand what Ricky Riccardo was saying to Lucy for all of those years. It is definitely important to do your due diligence and look at all of the pros and cons while you consider making Ecuador your new home. Just keep in mind as you do your research that moving overseas is not just a transformative experience, it is also a very personal one. Don’t be surprised if you find that the things you think will be your biggest challenges turn out to be your most rewarding opportunities. Read More : Is Ecuador Safe? Vilcabamba is a great prospect for anyone who loves the country. The properties are diverse enough so that there is something for everyone. There are farms, upscale homes in gated communities, and houses inspired by the green movement, with a low environmental impact. There is even a little domed house reminiscent of Tolkien’s hobbit holes just a few minutes from town. 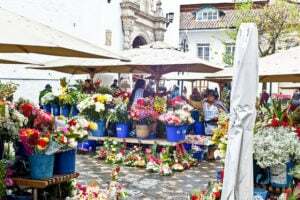 One Vilcabamba expat has compared the town to Ojai, California. The springtime temperatures of Ojai would be on a par with those of Vilcabamba, but even more similarities are found in the lifestyle. Ojai is known for its health-conscious, spiritually-minded, artistic atmosphere. Vilcabamba is much the same, though on a smaller scale. While the wind blows and the snow flies in Colleen Thom's old stomping grounds of Alberta, Canada, she and her husband Bill are enjoying their new life in a year-round paradise. For the last year Colleen and Bill have been living a life of warmth, friends, and adventure in the small Andean mountain town of Vilcabamba, Ecuador. "I feel like it's a real gift to be here," says Vilcabamba expat Jeff Hutner. It's a sentiment I have heard echoed time and again from expats in this part of Ecuador. What's so enthralling about this little highland town just north of the Peruvian border? Well, for Jeff and his wife Jamie, it's the ability to afford a quality life surrounded by beauty. Nestled into a warm valley ringed by high Andean peaks, the town of Vilcabamba leaves little to be desired. The warm (but not steamy) year-round weather is perfect for plant life. Trees with surfboard-sized fronds stand watch over neon flowers and creeping vines. Crystalline rivers tumble through the valley and there are plenty of hiking trails crisscrossing the slopes. Once upon a time there was a girl named Goldilocks who wanted to move abroad. Now Goldilocks was very particular—she wanted everything to be "just right." One day Goldilocks was reading her International Living magazine and learned about a city in Ecuador called Cuenca. The more she read, the more excited she became. Goldilocks thought, "Wow, this place seems perfect!" Being very particular, she decided to visit Cuenca to see for herself. Though we moved to picturesque colonial city of Cuenca, Ecuador in 2010, we left again two years ago. That's right...we left our retirement paradise to try out life on the Central Coast of California in San Luis Obispo where we spent our honeymoon 40 years ago. We were 20 minutes from the Pacific Ocean with its spectacular fireball sunsets and enjoyed some of California's best beaches, including Pismo, Morro Bay, and Avila. It was our good fortune, to find a 1,200-square-foot apartment on Craigslist—fully furnished—for $895 a month (with utilities and internet it came to $960). It was a bargain. What’s the weather like where you are right now? And what do the upcoming months have in store for you weather-wise? Are cold northerly winds, deadly ice, and heavy, wet snow part of the forecast? (And that’s not to mention the darkness.) I used to dread winter in the U.S.—when the sun didn’t show itself until well after breakfast and then slipped away again before the afternoon rush hour traffic even thought about getting started.